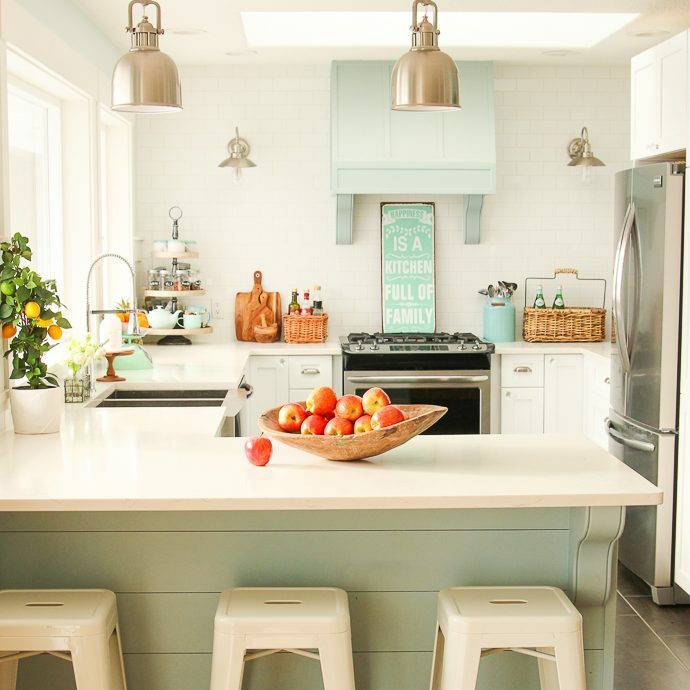 Create a seating area. Add some pillows and/or a fall throw. 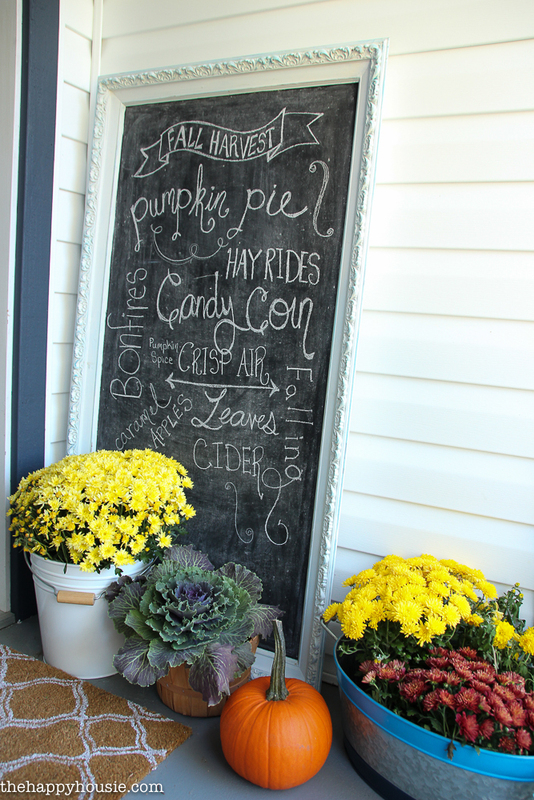 Find a spot for a chalkboard and fill it with some cute fall word art. 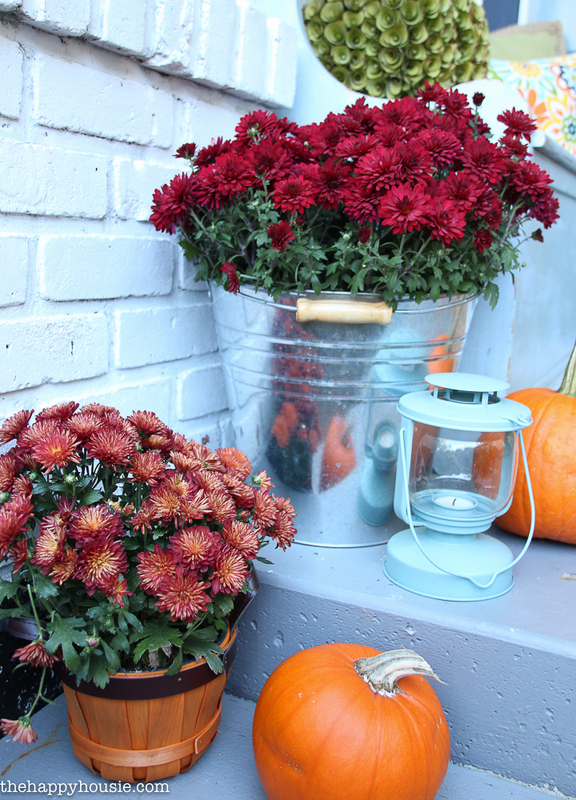 Pickup some fall flowers and plants at the grocery store and plop them into apple bushel baskets or galvanized pails. 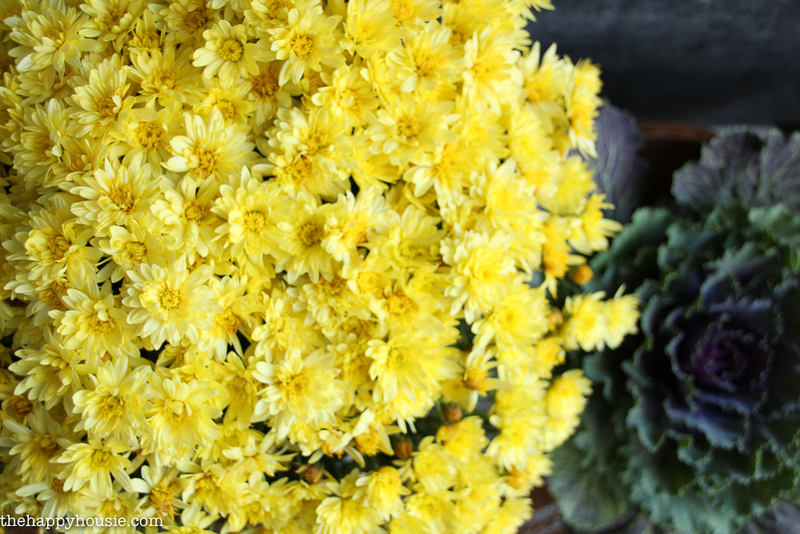 My faves are buckets of mums and fall cabbage or kale. Don’t forget the pumpkins. You definitely need some pumpkins. 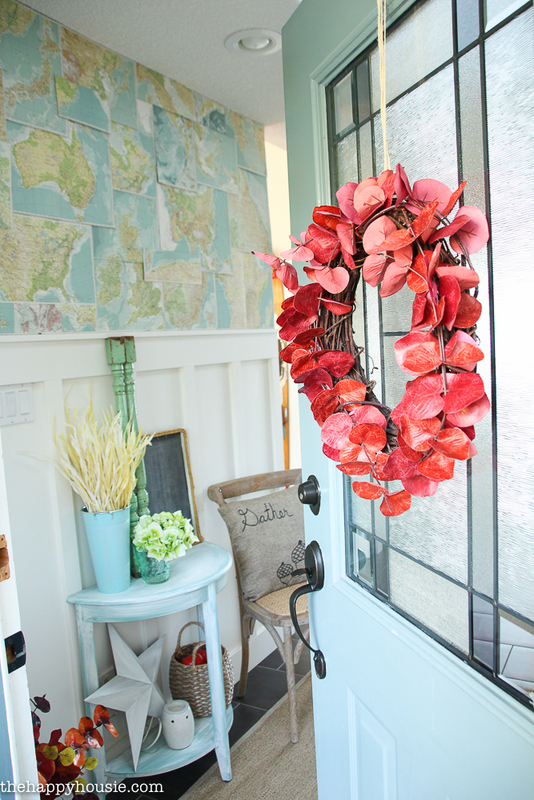 Lastly, add a fresh door mat and a pretty wreath and your all set. 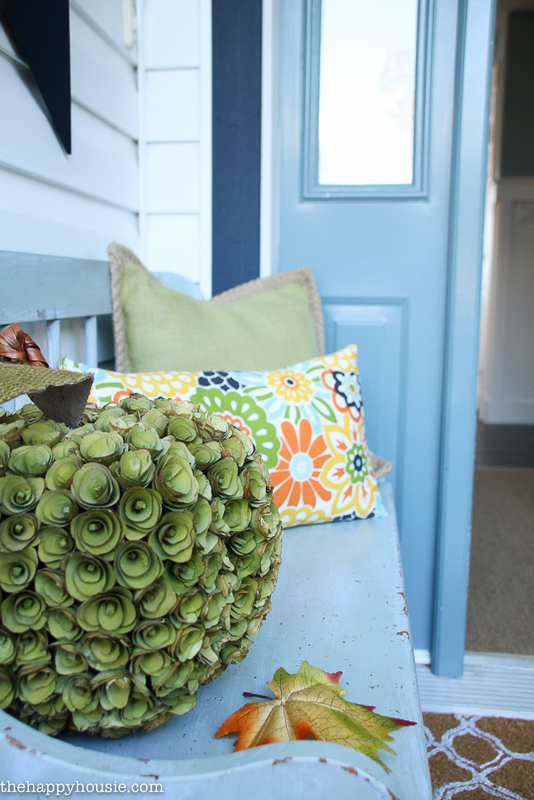 Adding a welcoming fall feel to your front porch, no matter how big or small it is, can be easy! 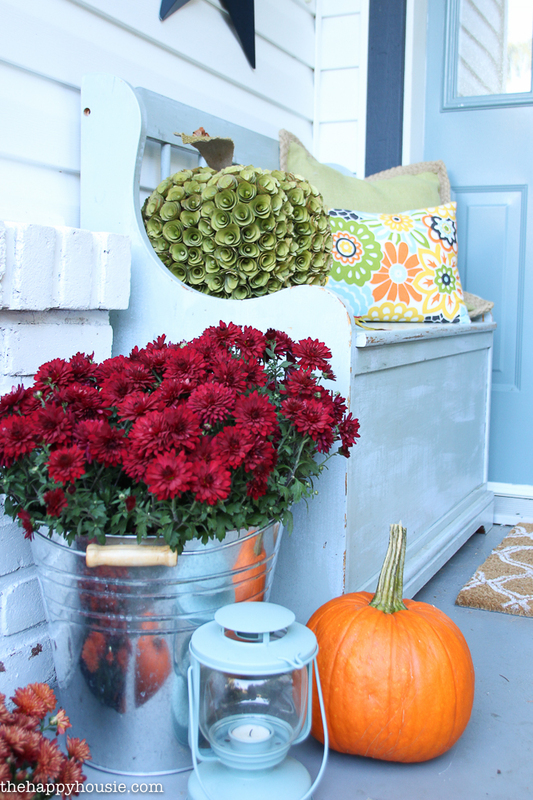 Decorating your front porch for fall can be simple. Quick. And thrifty. 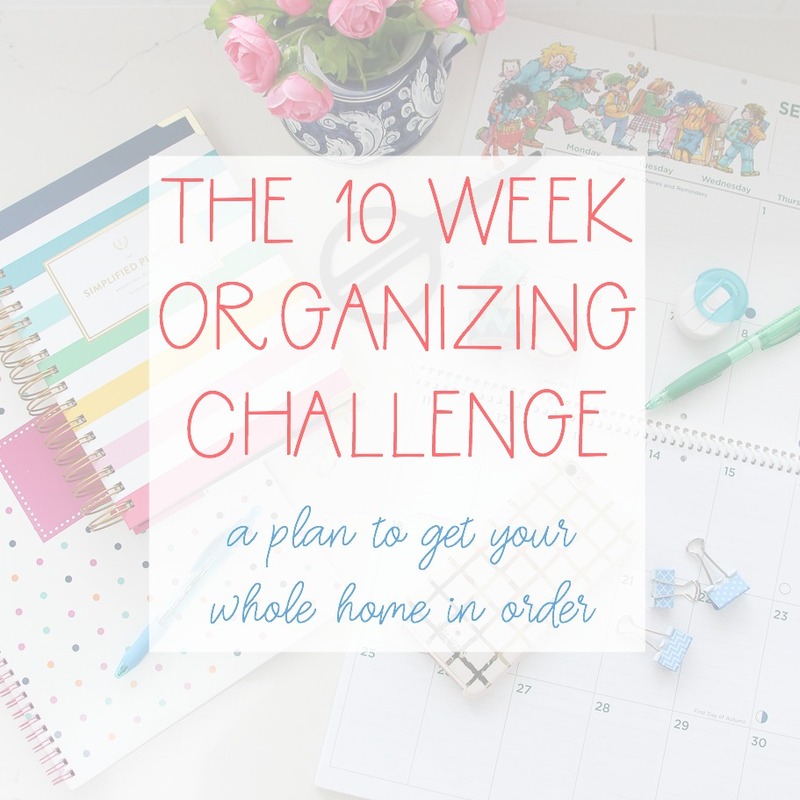 You can shop the house, find things at the grocery store, and even at your local farmers market. 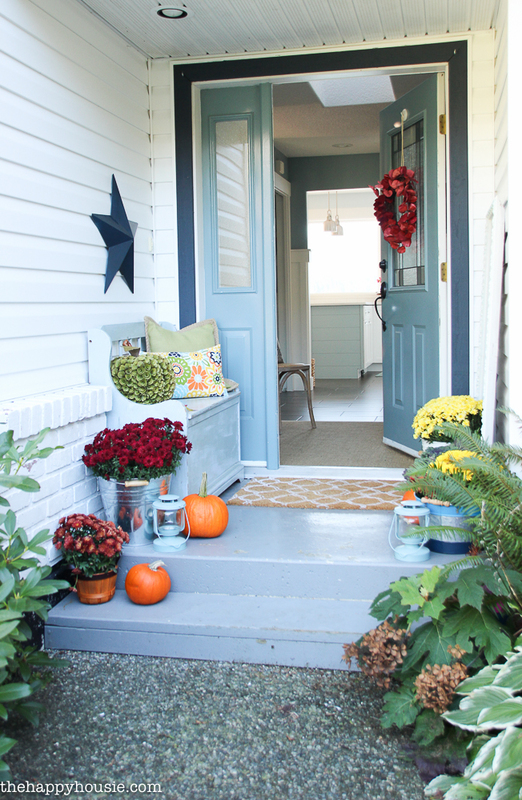 And today I’m joining up with some of my favourite bloggers to share some inspiring ideas for decorating your front porch this season. 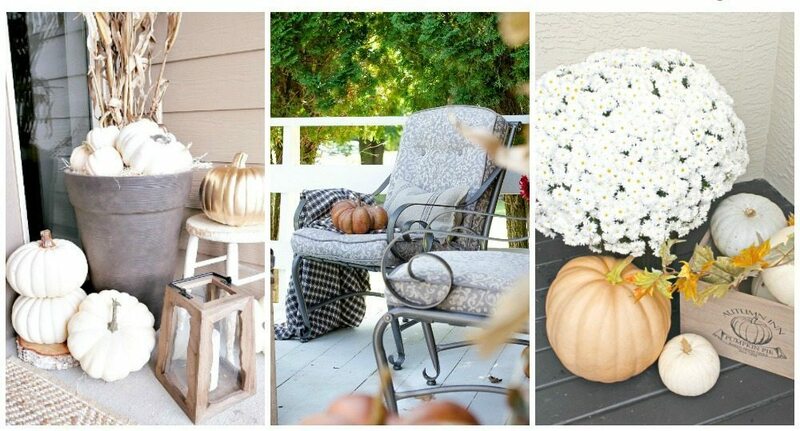 April from House by Hoff and Ashley from Cherished Bliss are both sharing their beautiful front porch decor ideas today along with an amazing group of bloggers who are sharing their porches all week long…. Our porch is very small. In fact, calling it a “porch” might be a bit of a stretch. 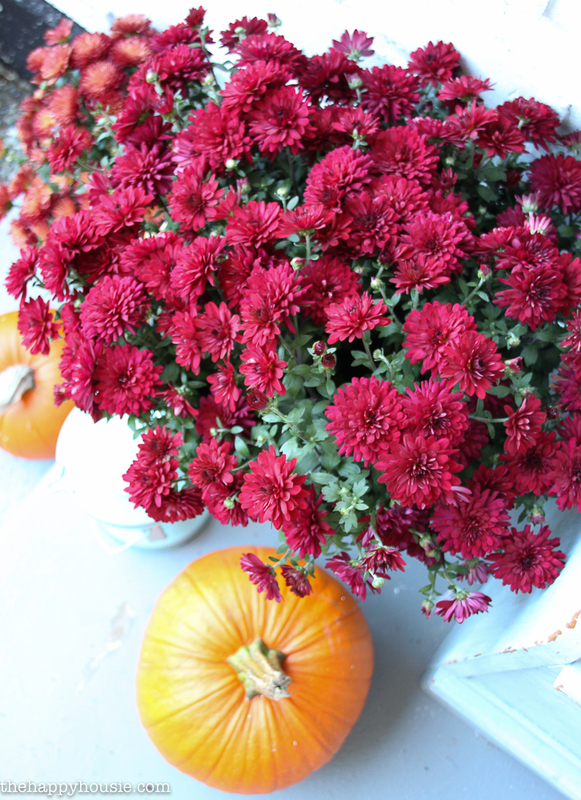 Next week I’ll be sharing the rest of our fall home tour! What color is that front door? Lovely! Hello Diane! 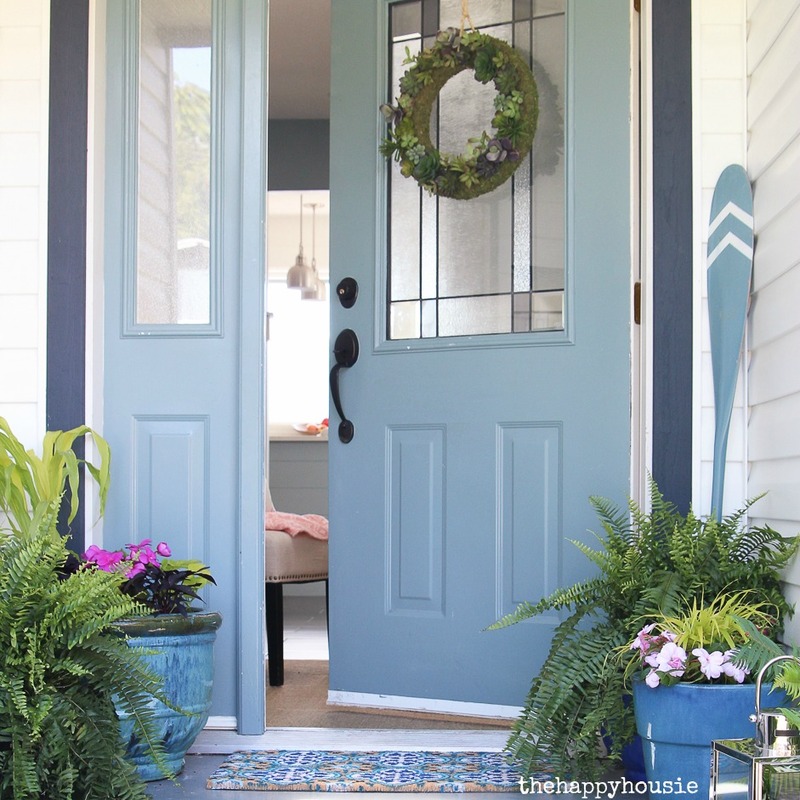 Our front door is called Aegean Teal and it connects with our interior colours. 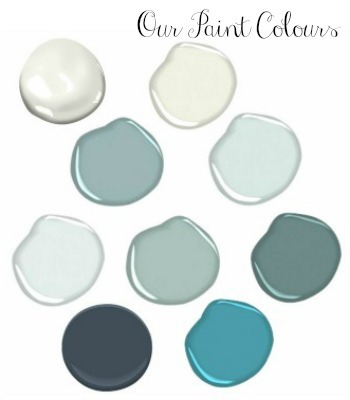 I shared all the paint colours in our home here if you would like more detail about the palette: Our Paint Colours. 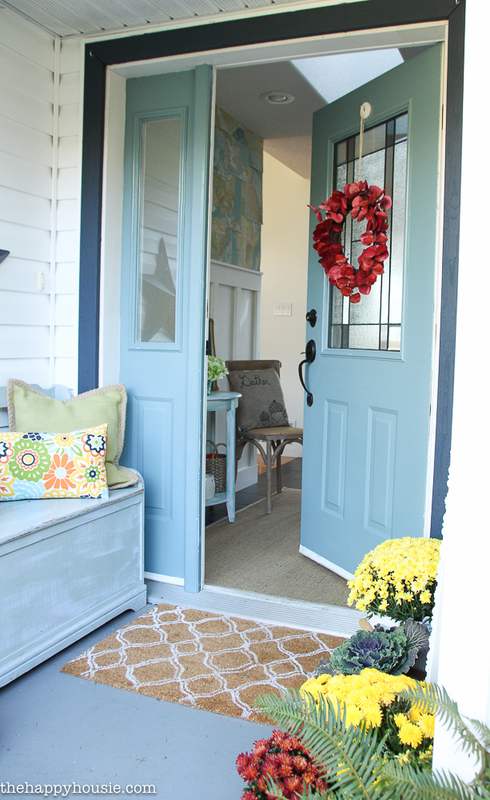 Beautiful porch! 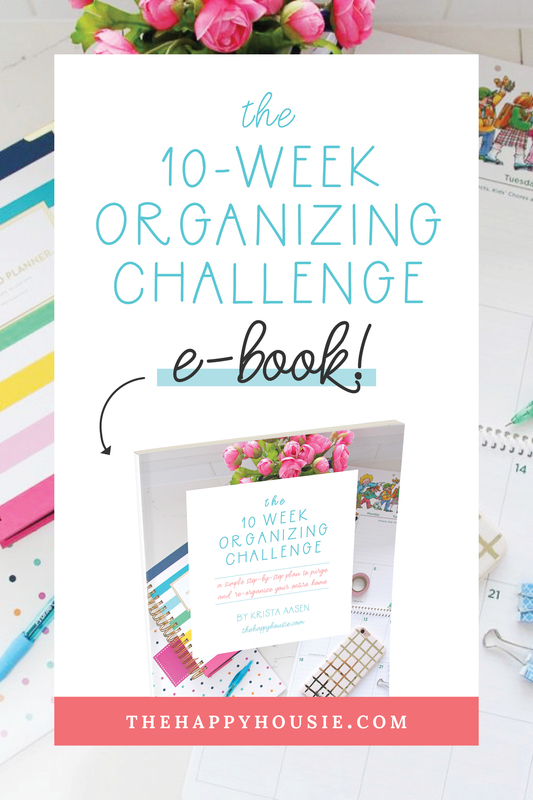 I love how you combined all the elements together! So pretty Krista! 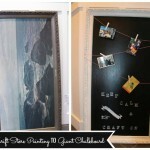 I love, love, love that giant chalkboard and how you decorated it. 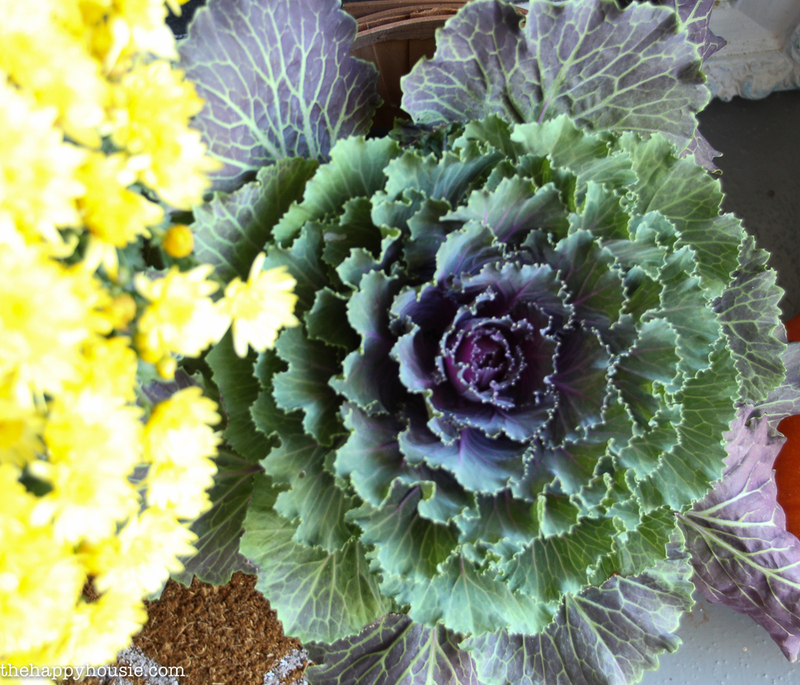 Everything is so lovely on your porch. 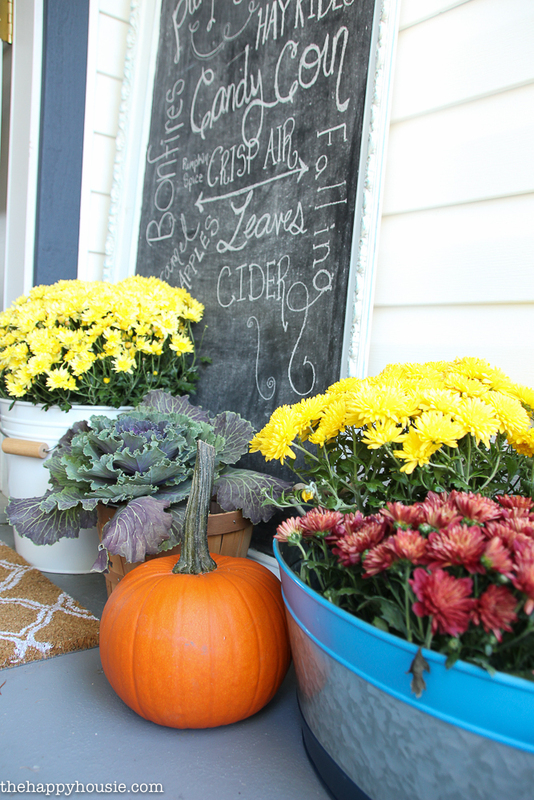 I live in Florida and would love to have lots of real pumpkins and chalkboards etc…problem is, I’m afraid the pumpkins would name in our heat and direct sunlight. The dew from hot days and cooler nights would mess the chalk up in afraid. Hi Sherri! Thanks so much for your kind words!! 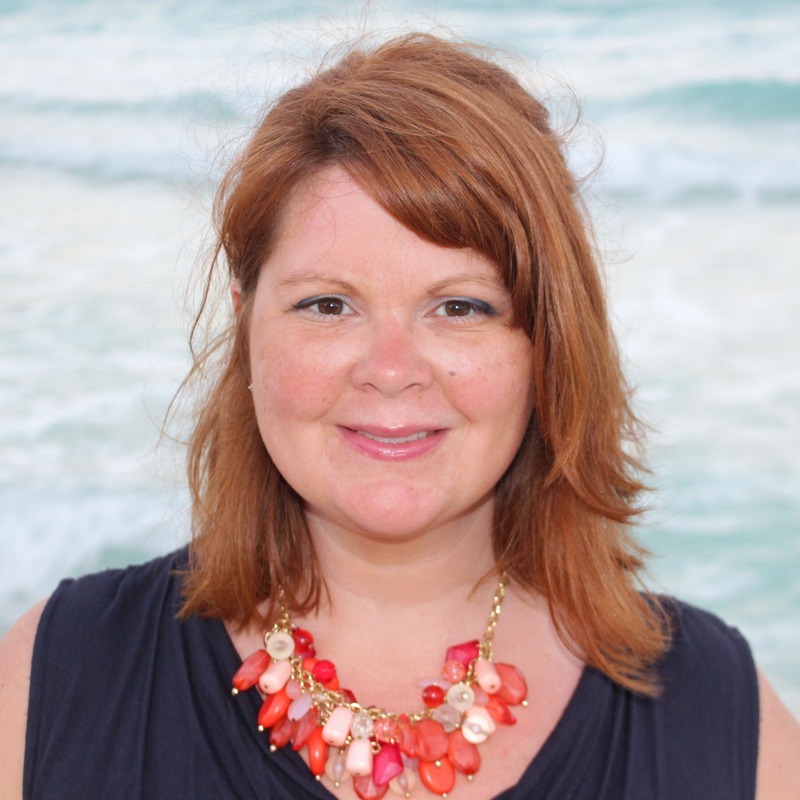 Florida must be amazing – so much sunshine! 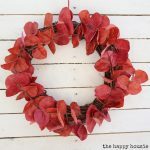 I wonder if faux pumpkins would work better for you? 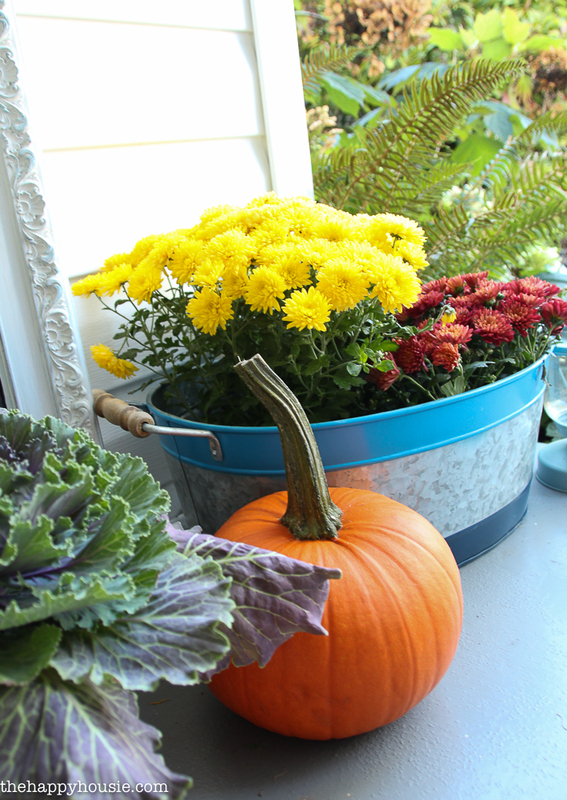 We have the opposite problem – our pumpkins tend to rot due to all the moisture in our damp,cool climate. 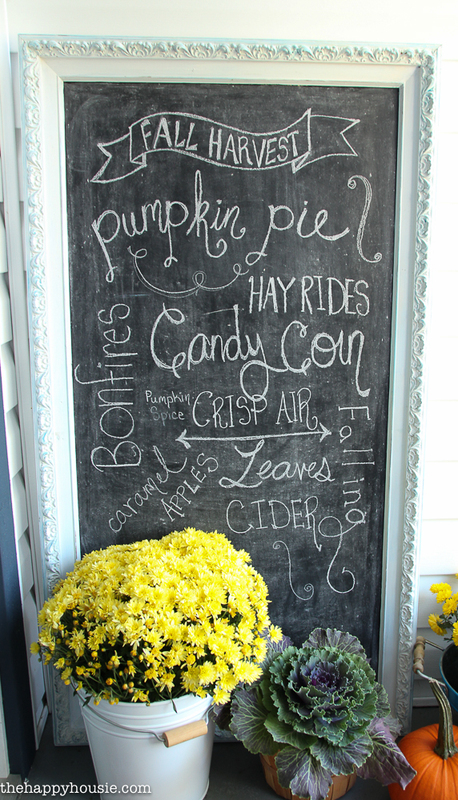 If you did have an outdoor chalkboard I would definitely recommend using a chalk paint pen rather then regular chalk as it would last better in all weather!